To loosely follow on from a previous post, it’s not necessarily advisable to ignore innovation and creativity under the current global economic conditions. However, when faced with this kind of negative environment, thinking up imaginative ways to engage with users through existing channels can sometimes become a bit stale. Here, I’ve compiled a few different examples of relatively recent online campaigns that caught my attention through their resourcefulness and that follow six identifiable ‘I’s’. Google has strict policies in place against this kind of thing, but it still doesn’t seem to stop people from trying. Even though an ad like this is likely to have a lifespan of a few days, it’s claimed it can improve click-through rates enormously: PayDay One saw theirs increase by 50% when they ran similar ads. Other examples in this vein include a bit of self-promotion from the digital agency Collective and Littlewoods Direct running a James Bond promotion. 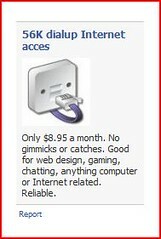 I asked someone about it and things like this are a violation of our ads policy. I would discourage people from trying stuff like this; I can certainly imagine someone getting banned from AdWords if they tried to abuse our policies. Sometimes, the key is in the creative. For example, homepage takeovers can be pretty pricey, depending on where you run them. However, speaking in terms of design, there’s so much scope to make online advertising stand out. Everyone’s seen the standard background-banner-MPU combination, but as the various means to stretch the boundaries continue to develop, we’re seeing an increase of visually gratifying advertisements built into high-traffic websites. I’m putting my neck out here, but it seems that for the most part, takeovers like this generally seem to be run by the entertainment industry: predominantly music, film and related technology. To me, the obvious reason behind this is that the internet gives advertisers the opportunity to showcase these user-engaging “products” in a way that compliments the core of the medium being advertised. This in itself is a separate blog-post, but for now, a handful of great examples where takeovers demonstrate this include The Dark Knight (MSN France), the Wolverine campaign (IGN.com) and the Jack Penate takeover (NME). I’m aware there are literally dozens of other outstanding examples that I haven’t mentioned, but I will say that my current favourite is The Day the Earth Stood Still campaign that ran on MySpace. There’s no getting away from the ad itself and it completely reflects the nature of the film. It’s also incredibly engaging, if a user isn’t expecting it to happen, when the homepage suddenly disappears and then returns, how likely are they to refresh the page to experience it again? My money’s on very, meaning it’s more likely to stick in their mind, therefore making it an effective piece of creative. But be careful with the stragegy you decide to follow, as intrusive ads can be very annoying for web users. …though centred on the web, [it also] branched out over mobile, mail, flash mobs, scavenger hunts, casual games, user generated content, collaborative narratives and streaming video. The success rate was unprecedented, with over 10m participants in 75 countries taking part. Getting users to interact with your brand or products is a sure-fire-way to achieving various marketing objectives. My favourite cases of users taking part in a brand-led experience include Sony Bravia’s Colour Tokyo! (where users could interactively change the colour of Sony’s Japanese offices), Orange’s Spot the Bull (originally created by Poke London and where users guess where a bull will be on a set grid reference using GPS in order to win festival tickets), the long cited and infamous case study of Blend-tec’s Will it Blend (this needs no explanation) and Sprint’s Now Network widget-crazy micro-site (where everything you see is an internet or business-related widget). The digital hot potato at the minute is social media and if you can come up with a fresh idea to connect your organisation with a social platform that’s widely used, it may mean you could be onto a winner. Brands doing this through Facebook alone include the likes of TopShop (Fashion Fix), Burger King (Whopper Sacrifice) and Pizza Hut (Pizza Hut Interface), and there are dozens more, across different social tools. Use your common sense. Behind every great innovative idea is an equally down-to-earth strategy and thought-out plan. BMW got this right with their winter campaign in Germany, where winter tyres on cars is mandatory. They created an MMS picture message, fully customised to each individual BMW owner, featuring the front of the car that person owned, detailed down to the colour and specific model, and of course, showing the new, relevant tyres. They held the campaign off until the first day of snow and then bulk-mailed their customers. This resulted in an estimated 30% conversion rate, costing around $200,000 but pulling in a revenue of $45m. Agent Provocateur’s Kylie-on-a-bull, Dove’s Evolution, QuickSilver’s surfing with dynamite and the Cadbury’s Gorilla being just a handful of the most commonly cited examples. They all couldn’t be any more different from each other, but all have had millions of views, sparked public imitations and generated huge amounts of interest. Get your imaginative hat on and see what ideas you can come up with. But be careful: for every success story, there are loads of failures. So to try and summarise, perhaps the best course of action is to focus upon your organisation as a whole, your products or services and how to bring the two together with consumer engagement at the core. Tie this up with a solid strategy based upon a creative and exciting idea and it’s likely you’ll find you’ve got an ingenious maketing campaign that’ll see great results. If you think I’ve missed any good case studies please share them in the comments below! You may have noticed that no one buys mere goods or services these days, they buy the experience. as good as it could be. 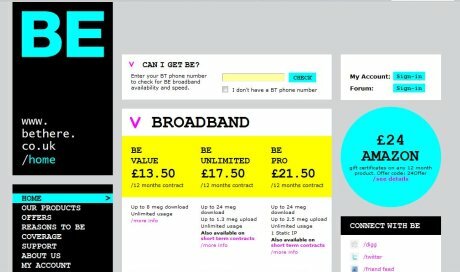 Broadband service provider Be Broadband has just launched a brand new version of its website, and it’s not proving to be too popular with customers so far. Facebook claims that its recent problems with click fraud are behind it but one advertiser is sending Facebook a clear message: your problems are just beginning. Sports website RootZoo has filed a lawsuit against Facebook in federal district court in San Jose, California and is seeking class action status. The company is being represented by Kabatek Brown Kellner, a law firm with a history of litigating click fraud actions.